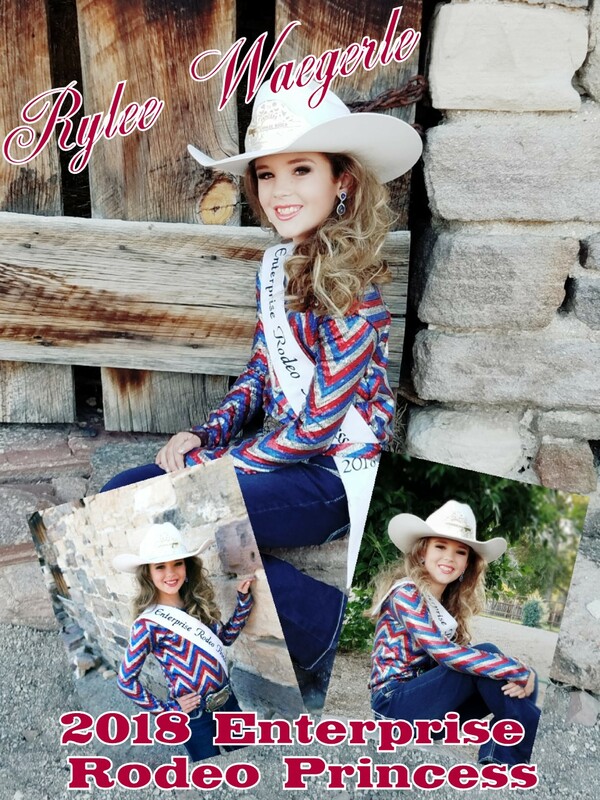 2018 Miss Rodeo Enterprise Royalty! Mary Rowley is our 2018 Miss Rodeo Enterprise. Mary is the 14 year old Daughter of Jake Rowley and Beverly Rowley. Mary is from Hurricane Utah where she attends the Hurricane middle school. Her favorite subject is choir. She is very active in the Washington County 4-H program. Mary is also involved in and enjoys the Color Country Equestrian Club Horse Shows and barrel racing. She just LOVES horses!!! Her goal is to teach and help others learn to ride horses. 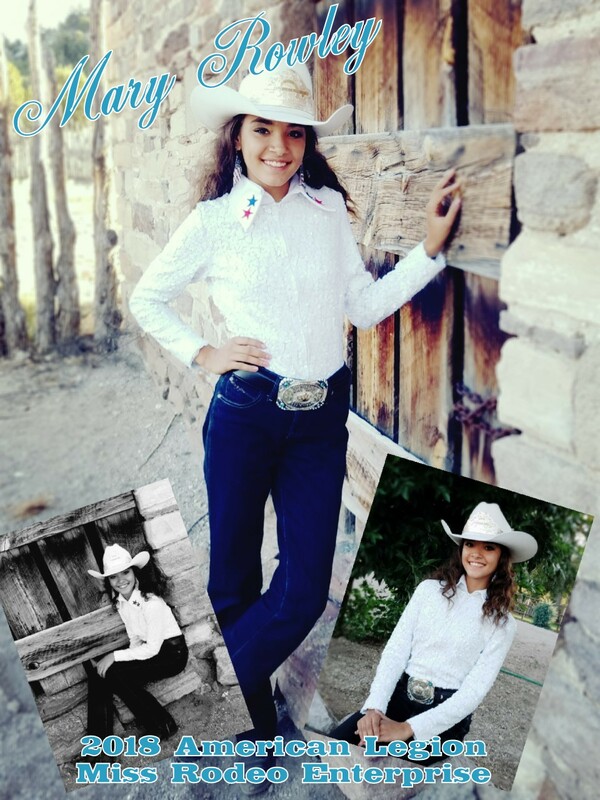 Mary is looking forward and is excited to represent the Enterprise rodeos and attend many other activities and rodeos this year. 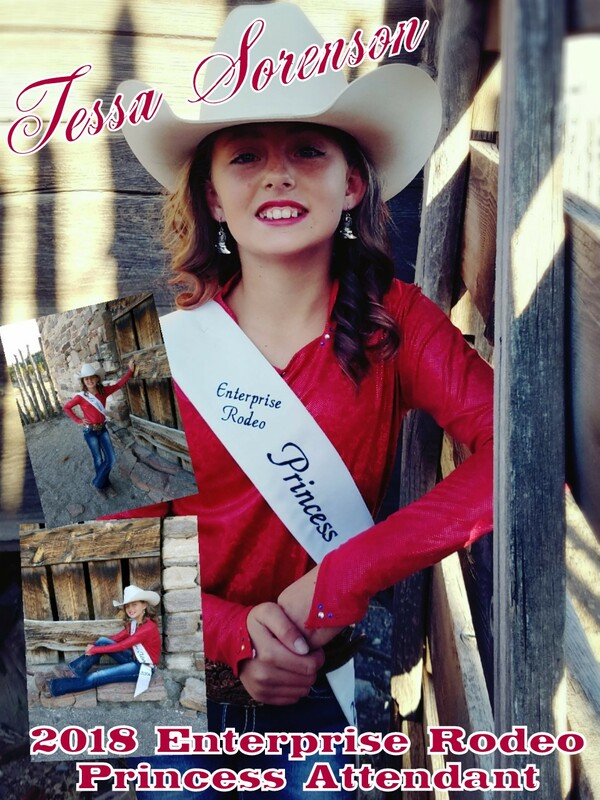 This years Enterprise Rodeo Princess is Rylee Waegerle. Rylee is the 10 year old daughter of Shane and Randilyn Waegerle of Enterprise Utah. Rylee will be attending Enterprise Elementary as a 6th grader this year. 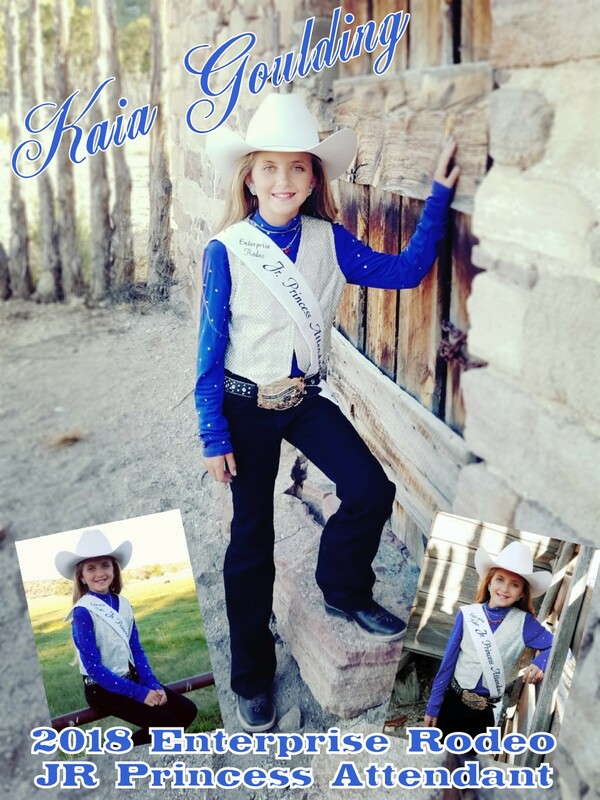 Rylee enjoys singing, dance, rodeo and loves to ride her horse "Clover." 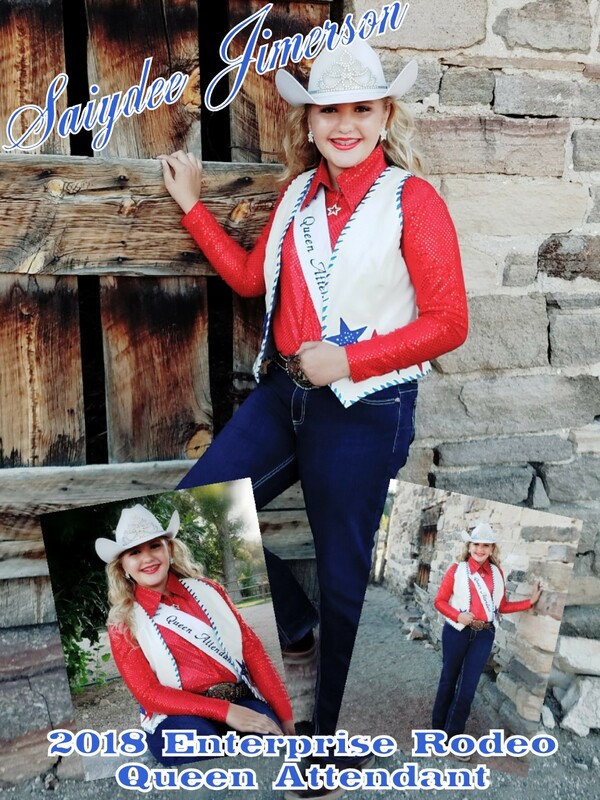 The Enterprise Rodeo JR Princess is Saiyzha Jimerson. 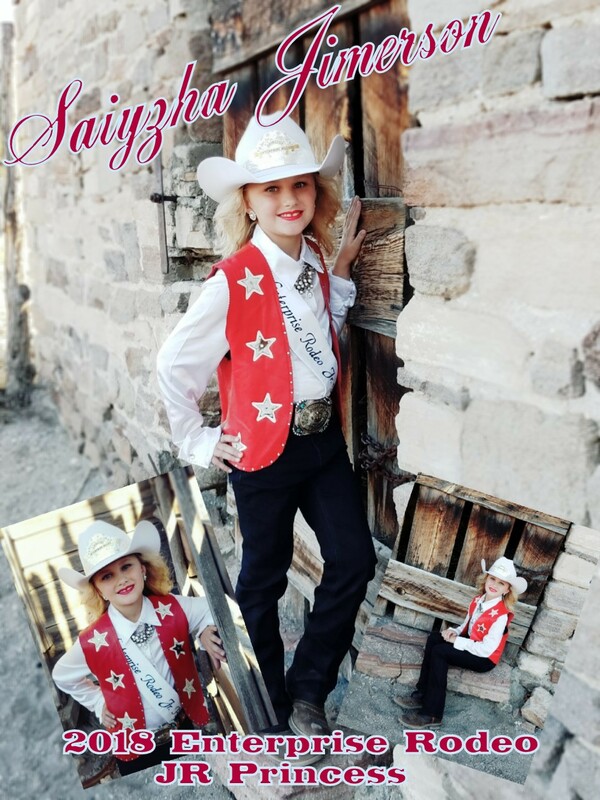 Saiyzha is the 8 year old daughter of Jessica Jimerson of New Harmony, UT. She loves to make up dances routines and loves the outdoors. If you can’t catch her chasing cans on her horse, you will find her cuddled up with her cat, Beanz. She has the kindest heart and loves taking care of animals. She aspires to be a Doctor one day and her favorite sport of all is Rodeo!